Major interests are actuarial science and survival analysis. Research areas include statistical inference for semiparametric regression models and analysis of correlated aggregate claims in insurance business. Tian, G., Ju, D., Yuen, K.C. and Zhang, C. (2018). New EM-type algorithm via stochastic representation for the analysis of truncated normal data with applications in biomedicine. Statistical Methods in Medical Research, 27(8), 2459-2477. Han, X., Liang, Z. and Yuen, K.C. (2018). Optimal proportional reinsurance to minimize the probability of drawdown under thinning-dependence structure. Scandinavian Actuarial Journal, accepted. Liu, Y., Tian, G., Tang, M.L. and Yuen, K.C. (2018). A new multivariate zero-adjusted Poisson model with applications to biomedicine. Biometrical Journal, DOI:10.1002/bimj.201700144. Wang, W.Y., Wu, X., Peng, X.C. and Yuen, K.C. (2018). A note on joint occupation times of spectrally negative Levy risk processes with tax. Statistics and Probability Letters, 140, 13-22. Shen, X., Ma, C., Yuen, K.C. and Tian, G. (2018). Common risk difference test and interval estimation of risk difference for stratified bilateral correlated data. Statistical Methods in Medical Research, DOI: 10.1177/0962280218781988. Wei, W., Liang, Z. and Yuen, K.C. (2018). Optimal reinsurance in a compound Poisson risk model with dependence. Journal of Applied Mathematics and Computing, 58, 389-412. DOI: 10.1007/s12190-017-1150-z. Wat, K.P., Yuen, K.C., Li, W.K. and Wu, X. (2018). On the compound binomial risk model with delayed claims and randomized dividends. Risks, 6(2), 6, DOI:10.3390/risks6010006. Liang, Z., Yuen, K.C. and Zhang, C. (2018). Optimal reinsurance and investment in a jump-diffusion financial market with common shock dependence. Journal of Applied Mathematics and Computing, 56, 637-664. Yang, Y., Yuen, K.C. and Liu J. (2018). Asymptotics for ruin probabilities in Levy-driven risk models with heavy-tailed claims. Journal of Industrial and Management Optimization, 14(1), 231-247. Dong, Y., Yuen, K.C. and Wang, G. (2018). Regime-switching pure jump processes and applications in the valuation of mortality-linked products. Communications in Statistics – Theory and Methods, 47(6), 1372-1391. Zhou, M., Yuen, K.C. and Yin, C. (2017). Optimal investment and premium control in a nonlinear diffusion model. Acta Mathematicae Applicatae Sinica, 33(4), 945-958. Dong, Y., Yuen, K.C. and Wang, G. (2017). Valuation of CDS counterparty risk under a reduced-form model with regime-switching shot noise default intensities. Frontiers of Mathematics in China, 12(5), 1085-1112. Dong, Y., Wang, G. and Yuen, K.C. (2017). Correlated default models driven by a multivariate regime-switching shot noise process. IMA Journal of Management Mathematics, DOI.org/10.1093/imaman/dpx004. Yang, Y., Zhang, T. and Yuen, K.C. (2017). Asymptotics for finite-time ruin probability in a dependent discrete-time risk model with CMC simulations. Journal of Computational and Applied Mathematics, 321, 143-159. Yuen, K.C., Chen, M. and Wat, K.P. (2017). On the expected penalty functions in a discrete semi-Markov risk model with randomized dividends. Journal of Computational and Applied Mathematics, 311, 239-251. Dong, Y., Yuen, K.C. and Wang, G. (2017). Pricing credit derivatives under a correlated regime-switching hazard process. Journal of Industrial and Management Optimization, 13, 1395-1415. Liang, Z., Bi, J., Yuen, K.C. and Zhang, C. (2016). Optimal mean-variance reinsurance and investment in a jump-diffusion financial market with common shock dependence. Mathematical Methods of Operations Research, 84(1), 155-181. Yang, Y. and Yuen, K.C. (2016). Finite-time and infinite-time ruin probabilities in a two-dimensional delayed renewal risk model with Sarmanov dependent claims. Journal of Mathematical Analysis and Application, 442(2), 600-626. 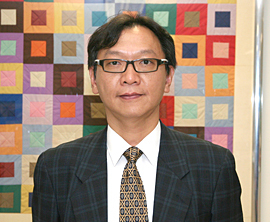 Dong, Y., Yuen, K.C., Wang, G. and Wu, C. (2016). A reduced-form model for correlated defaults with regime-switching shot noise intensities. Methodology and Computing in Applied Probability, 18(3), 459-486. Dong, Y., Wang, G. and Yuen K.C. (2016). A regime-switching model with jumps and its application to bond pricing and insurance. Stochastics and Dynamics, 16(6), 1-16, DOI: 10.1142/S0219493716500234. Liang, Z. and Yuen, K.C. (2016). Optimal dynamic reinsurance with dependent risks: variance premium principle. Scandinavian Actuarial Journal, 2016(1), 18-36. Yang, Y. and Yuen, K.C. (2016). Asymptotics for a discrete-time risk model with Gamma-like insurance risks. Scandinavian Actuarial Journal, 2016(6), 565-579. Chen, M. and Yuen, K.C. (2016). Optimal dividend and reinsurance in the presence of two reinsurers. Journal of Applied Probability, 53(2), 554-571. Corresponding author. Shen, J., Yuen, K.C. and Liu, C. (2016). Empirical likelihood confidence regions for one- or two- samples with doubly censored data. Computational Statistics and Data Analysis, 93, 285-293. Yin, C.C., Yuen, K.C. and Shen, Y. (2015). Convexity of ruin probability and optimal dividend strategies for a general Lévy process. The Scientific World Journal, 2015: 354129, DOI:10.1155/2015/354129. Yuen, K.C., Liang, Z. and Zhou, M. (2015). Optimal proportional reinsurance with common shock dependence. Insurance: Mathematics and Economics, 64(1), 1-13. Ding, J., Tian, G.L., and Yuen, K.C. (2015). A new MM algorithm for constrained estimation in the proportional hazards model. Computational Statistics and Data Analysis, 84(1), 135-51. Yin, C.C. and Yuen, K.C. (2015). Optimal dividend problems for a jump-diffusion model with capital injections and proportional transaction costs. Journal of Industrial and Management Optimization, 11(4), 1247-1262. Zhou, M. and Yuen, K.C. (2015). Portfolio selection by minimizing the present value of capital injection costs. ASTIN Bulletin, 45(1), 207-238. Li, L., Yuen, K.C. and Yang, J. (2014). Distorted mix method for constructing copulas with tail dependence. Insurance: Mathematics and Economics, 57, 77-89. Dong, Y., Yuen, K.C. and Wu, C. (2014). A multivariate regime-switching mean reverting process and its application to the valuation of credit risk. Stochastic Analysis and Applications, 32(4), 687-710. Chen, M., Yuen, K.C. and Guo, Y. (2014). Survival probabilities in a discrete semi-Markov risk model. Applied Mathematics and Computation, 232, 205-215. Dong, Y., Yuen, K.C. and Wu, C. (2014). Unilateral counterparty risk valuation of CDS using a regime-switching intensity model. Statistics and Probability Letters, 85, 25-35. Dong, Y., Wang, G. and Yuen, K.C. (2014). Bilateral counterparty risk valuation on a CDS with a common shock model. Methodology and Computing in Applied Probability, 16(3), 643-673. Shen, Y., Yin, C. and Yuen, K.C. (2013). Alternative approach to the optimality of the threshold strategy for spectrally negative Lévy processes. Acta Mathematicae Applicatae Sinica, 29(4), 705-716. Yuen, K.C., Li, J. and Wu, R. (2013). On a discrete-time risk model with delayed claims and dividends. Risk and Decision Analysis, 4(1), 3-16. Chen, Y. and Yuen, K.C. (2012). Precise large deviations of aggregate claims in a size-dependent renewal risk model. Insurance: Mathematics and Economics, 51(2), 457-461. Liang, Z., Yuen, K.C. and Cheung, K.C. (2012). Optimal reinsurance-investment problem in a constant elasticity of variance stock market for jump-diffusion risk model. Applied Stochastic Models in Business and Industry, 28(6), 585-597. Zhou, M. and Yuen, K.C. (2012). Optimal reinsurance and dividend for a diffusion model with capital injection: variance premium principle. Economic Modelling, 29(2), 198-207. Chen, Y., Yuen, K.C. and Ng, K.W. (2011). Precise large deviations of random sums in presence of negative dependence and consistent variation. Methodology and Computing in Applied Probability, 13, 821-833. Chen, Y., Ng, K.W. and Yuen K.C. (2011). On the Maximum of Randomly Weighted Sums of Long-tailed Random Variables in Insurance and Finance, Stochastic Analysis and Applications, 29, 1033-1044. Liang, Z., Yuen, K.C. and Guo, J. (2011). Optimal proportional reinsurance and investment in a stock market with Ornstein-Uhlenbeck process. Insurance: Mathematics and Economics, 49, 207-215. Yuen, K.C. and Yin, C. (2011). On optimality of the barrier strategy for a general Levy risk process. Mathematical and Computer Modelling, 53, 1700-1707. Chen, Y., Yuen, K.C. and Ng, K.W. (2011). Asymptotics for ruin probabilities of a two-dimensional renewal risk model with heavy-tailed claims. Applied Stochastic Models in Business and Industry, 27(2), 290-300. Tang, Q., Wang, G. and Yuen, K.C. (2010). Uniform tail asymptotics for the stochastic present value of aggregate claims in the renewal risk model. Insurance: Mathematics and Economics, 46(2), 362-370. Tian, G.L., Tang, M.L., Yuen, K.C. and Ng, K.W. (2010). Further properties and new applications for the nested Dirichlet distribution. Computational Statistics and Data Analysis, 54(2), 394-405. Chen, Y. and Yuen, K.C. (2009). Sums of pairwise quasi-asymptotically independent random variables with consistent variation. Stochastic Models, 25(1), 76-89. Yuen, K.C., Lu, Y. and Wu, R. (2009). The compound Poisson process perturbed by diffusion with a threshold dividend strategy. Applied Stochastic Models in Business and Industry, 25(1), 73-93. Tian, G.L., Yuen, K.C., Tang, M.L. and Tan, M.T. (2008). Bayesian non-randomized response models for surveys with sensitive questions. Statistics and Its Interface, 2(1), 13-25. Yuen, K.C., Zhou, M. and Guo, J. (2008). On a risk model with debit interest and dividend payments. Statistics and Probability Letters, 78(15), 2426-2432. Zhu, C., Yuen, K.C., Sun, J. and Zhao, X. (2008). A nonparametric test for interval-censored failure time data with unequal censoring. Communications in Statistics - Theory and Methods, 37(12), 1895-1904. Wang, Y., He, S., Zhu, L. and Yuen, K.C. (2007). Asymptotics for a censored generalized linear model with unknown link function, Probability Theory and Related Fields, 138(1), 235-267. Zhang, Z., Yuen, K.C. and Li, W.K. (2007). A time-series model with constant interest for dependent classes of business. Insurance: Mathematics and Economics, 41(1), 32-40. Yuen, K.C., Wang, G. and Li, W.K. (2007). The Gerber-Shiu expected discounted penalty function for risk processes with interest and a constant dividend barrier. Insurance: Mathematics and Economics, 40(1), 104-112. Yuen, K.C. and Guo, J. (2006). Some results on the compound Markov binomial models. Scandinavian Actuarial Journal, 2006(3), 129-140. Yuen, K.C., Wang, G. and Wu, R. (2006). On the renewal risk model with stochastic interest. Stochastic Processes and their Applications, 116(10), 1496-1510. Yuen, K.C., Shi, J. and Zhu, L. (2006). A k-sample test with interval-censored data. Biometrika, 93(2), 315-328. Zhang, Z., Li, W.K. and Yuen, K.C. (2006). On a mixture GARCH time series model. Journal of Time Series Analysis, 27, 577-597. Yuen, K.C., Guo, J.Y. and Wu, X. (2006). On the first time on ruin in the bivariate compound Poisson model. Insurance: Mathematics and Economics, 38(2), 298-308. Wang, G. and Yuen, K.C. (2005). On a correlated aggregate claims model with thinning dependence. Insurance: Mathematics and Economics, 36(3), 456-468. Yuen, K.C. and Wang, G. (2005). Some ruin problems for a risk process with stochastic interest. North American Actuarial Journal, 9(3), 129-142. Yuen, K.C., Guo, J. and Ng, K.W. (2005). On ultimate ruin in a delayed-claims risk model. Journal of Applied Probability, 42(1), 163-174. Yuen, K.C., Wang, G. and Ng, K.W. (2004). Ruin probabilities for a risk process with stochastic return on investments. Stochastic Processes and Their Applications, 110(2), 259-274. Wu, X. and Yuen, K.C. (2003). A discrete-time risk model with interaction between classes of business. Insurance: Mathematics and Economics, 33(1), 117-133. Yuen, K.C., Zhu, L. and Tang, N.Y. (2003). On the mean residual life regression model. Journal of Statistical Planning and Inference, 113, 685-698. Yuen, K.C., Guo, J. and Wu, X. (2002). On a correlated aggregate claims model with Poisson and Erlang risk processes. Insurance: Mathematics and Economics, 31(2), 205-214. Yuen, K.C., Zhu, L. and Zhang, D. (2002). Comparing cumulative incidence functions through resampling methods. Lifetime Data Analysis, 8(4), 401-412. Zhu, L., Yuen, K.C. and N.Y. Tang (2002). Resampling methods for testing a semiparametric random censorship model. Scandinavian Journal of Statistics, 29(1), 111-123. Yuen, K.C., Yang, H. and Chu, K.L. (2001). Estimation in the constant elasticity of variance model. British Actuarial Journal, 7, 275-292. Yuen, K.C., Yang, H. and Chu, K.L. (2001). Premium calculation using ruin probability. Journal of Actuarial Practice, 9, 213-227. Yuen, K.C. and Guo, J. (2001). Ruin probabilities for time-correlated claims in the compound binomial model. Insurance: Mathematics and Economics, 29(1), 47-57. Yuen, K.C. and Burke, M.D. (1997). A test of fit for a semiparametric additive risk model. Biometrika, 84(3), 631-639. Burke, M.D. and Yuen, K.C. (1995). Goodness-of-fit tests for the Cox model via bootstrap method. Journal of Statistical Planning and Inference, 47, 237-256.